The OTC-ISIN population count has increased 24% in March to over 6.8 million at March month end, up from 5.5 million at the end of February 2018. The largest increase in new OTC ISINs has been in the rates asset class, with equities and commodities not far behind. 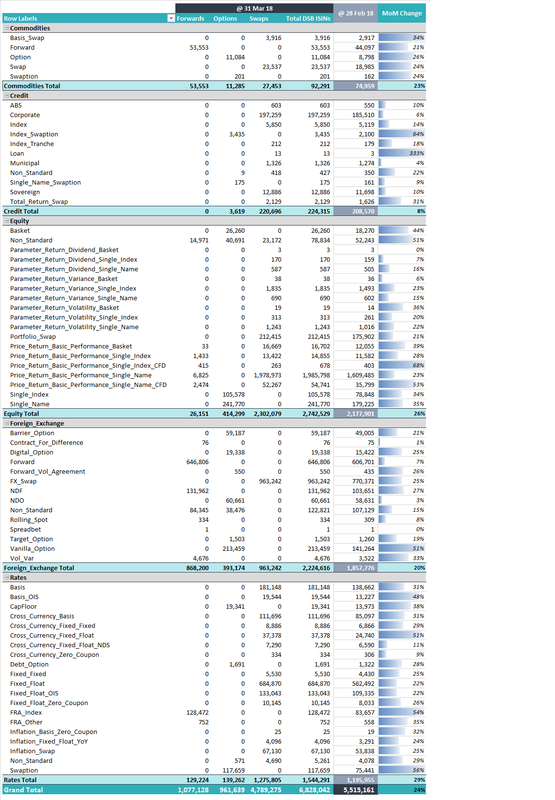 A detailed breakdown of the month on month (MoM) change at instrument level is provided below. 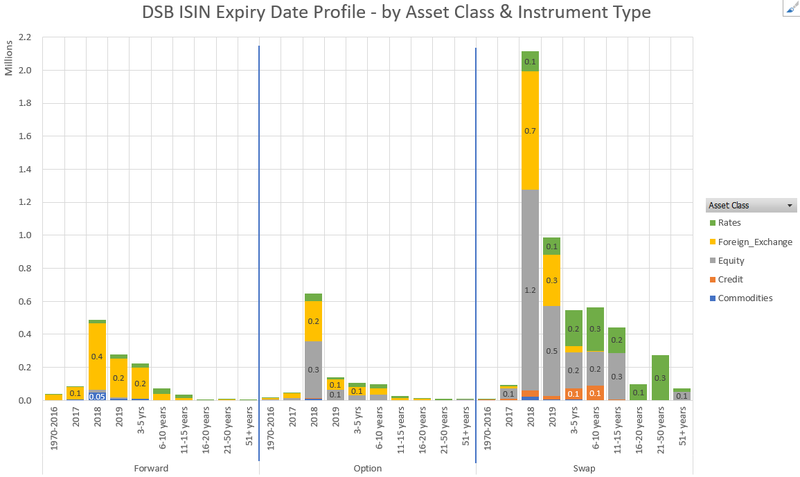 This note contains highlights about ISIN creation trends, utilization profiles and a snapshot of expiry dates for which instruments are set up.